"I found Vikki Vrettos Fraioli on Kythera-Family.net and mailed her regarding her Hlentzos connection, and since the first email a couple of days ago, I have had many many emails from her with a huge amount of information regarding my relatives. If this website was not available to us, all this information would never have been shared." The seed was actually sown back in 1996 when I put on a photographic exhibition called "A Village on Kythera" in the Bondi Pavilion. There I met so many lovely Kytherians (and others – like a group of Sicilian grand¬mothers who cried when they saw my pictures because it reminded them of home...). 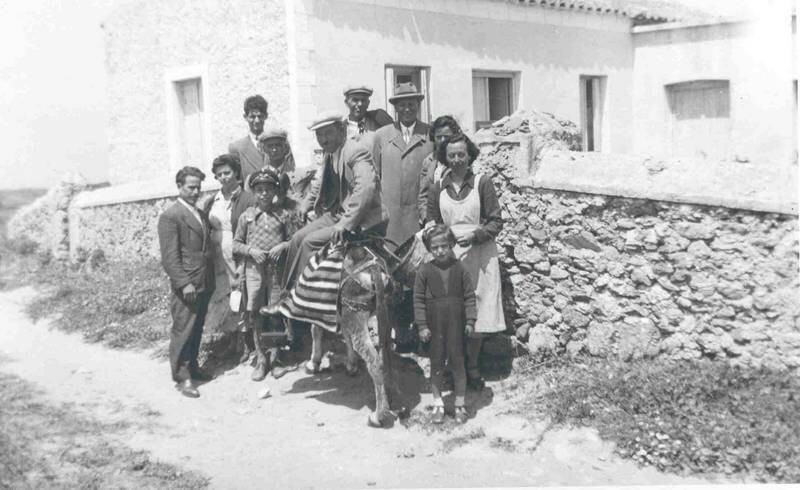 Many of the Kytherians told me of their collections of vintage pictures from Kythera. I would have loved to help them collate and scan and publish their pictures but it wasn't until about 2001 that I found an affordable and practical solution: to use the internet. Back then, "community sites" were almost unheard of and the founder of Facebook was probably just out of nappies. So I suppose I shouldn't have been surprised that my idea to create an online heritage repository, to which members of the Kytherian community could upload their family material to the site for the rest of the world to share and enjoy, fell on deaf ears in the beginning. Then a man, who, up until that time, had never used the internet himself, saved the day: Angelo Notaras. Ann Coward suggested I get in touch with him and it didn't take long for Angelo to recognise the potential benefits to the Kytherian community and he put his conside-rable reputation behind the project. He and his equally generous brothers, John and the late Mitch Notaras, put their money where their vision was and helped convince others to financially support the endeavour. Next came the ebullient George C. Poulos to the party and, when he wasn't fervently preaching to the less internet-savvy members of the Kytherian Association of Australia (KAA) that the internet wasn't just a fad, he was motivating community members to entrust copies of their heritage material to him to upload to the young site. He and Angelo managed to persuade the KAA Board to embrace the concept, and the latter have been loyal supporters ever since, as evidenced by this article. The initial problem was that the people with the most knowledge and material on Kythera were of a generation who were still fazed by mobile telephones, never mind by "websites", "uploading" and "urls". Ten years on, even if that generation doesn't use the internet or emails regularly themselves, they generally know what it is about and allow their children and grandchildren to upload their family stories and picture to our site. Over the past ten years the 3,000 registered users have submitted over 19 000 entries to KFN: life stories, maps, recipes, and other documents to the site, which are viewed by around 20 000 visitors each month! The extensive Message Board on the site gives evidence of the hundreds of connections made by the site between Kytherians separated by thousands of kilometres, or far less. Two of our most avid contributors live only a few kilometres from each other in California, but discovered their family link through our site. 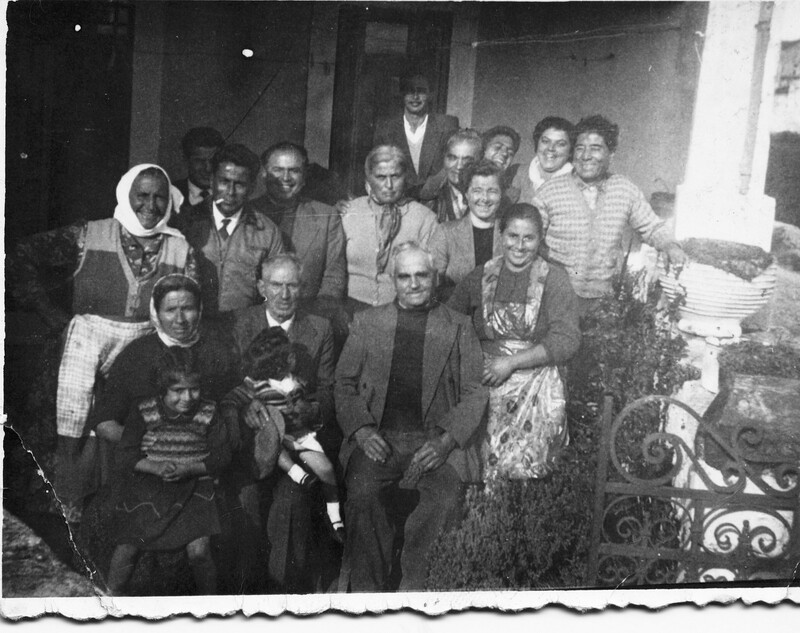 The possible significance of one group photo from Kythera from 1920 with a dozen people in it is exponential: a fifty-year-old in that picture might have had five children and twenty grandchildren and forty great-grandchildren. 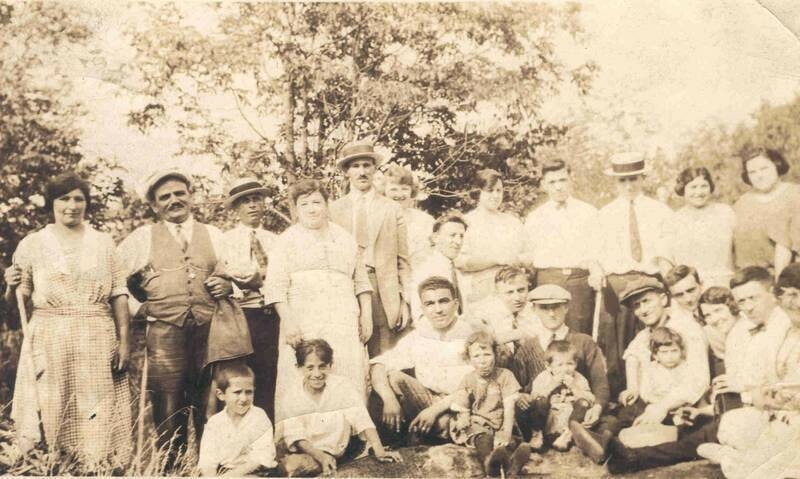 That makes sixty-five descendents per person in the picture and a total of 780 for all the subjects. Now, how many of those 780 will have ever seen that picture? Not many if it is stored under someone's bed. But online all of them have access if they care to look. And the nice thing about a website as opposed to a publication is that there is virtually no limit to the amount which can be presented on it. So it's not too late to post your grandmother's Greek passport or your great-great-grandfather's birth certificate. It's the best way to make sure that your own great-grandchildren will be able to find it one day. 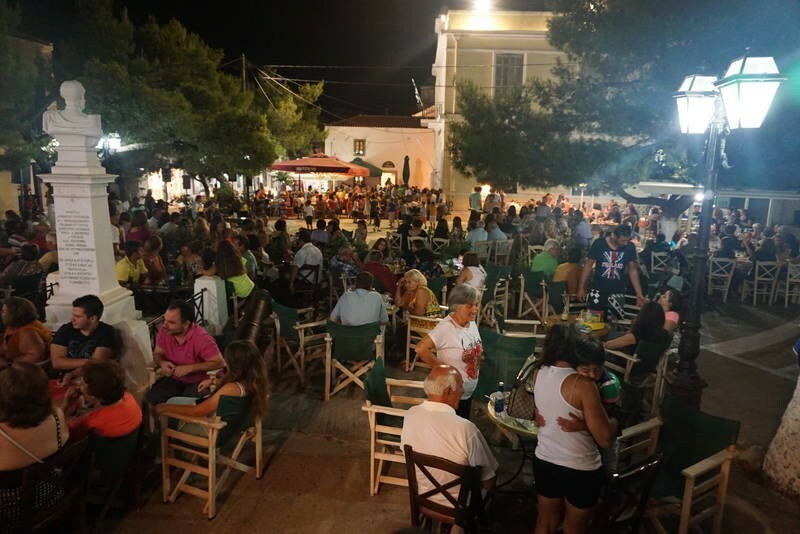 The ten-year anniversary of kythera-family was celebrated with a well-attended party held at the Mill Resort, Mitata, Kythera, in July 2013. 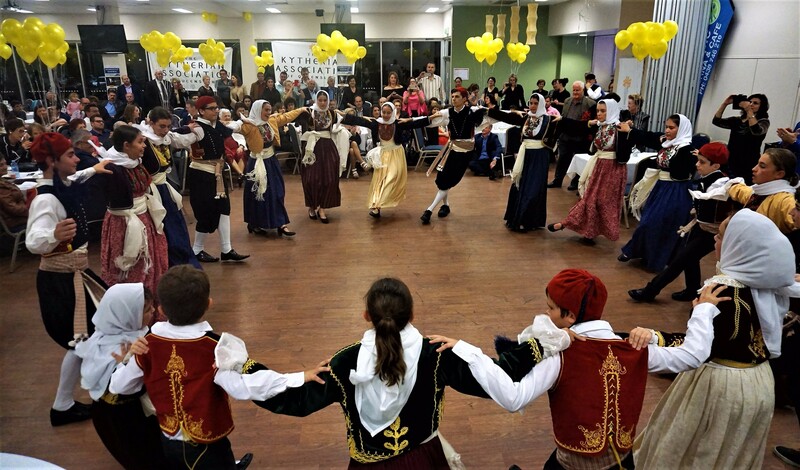 In Australia it was celebrated at the Kytherian Association November Family Dance, Westside Reception Lounge, Marrickville on 23 November 2013. I agree with James that the key driver of kfn has been Angelo Notaras OAM. 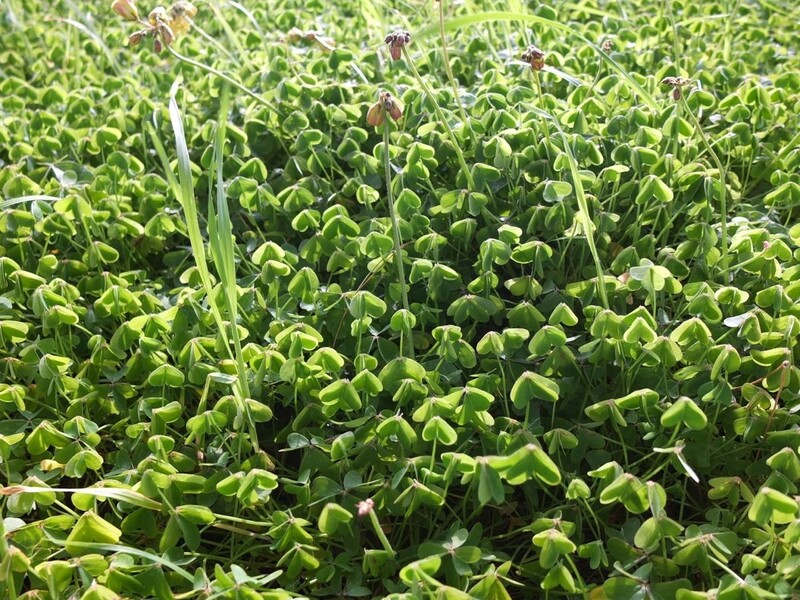 I also agree that the success of the web-site can be attributed to a number of superior features inherent in the site: The web-site is generative. One photograph or one story can elicit a great deal of additional inter-related information. The web-site is connective. Individuals, families, and organisations have been connected, and re-connected. 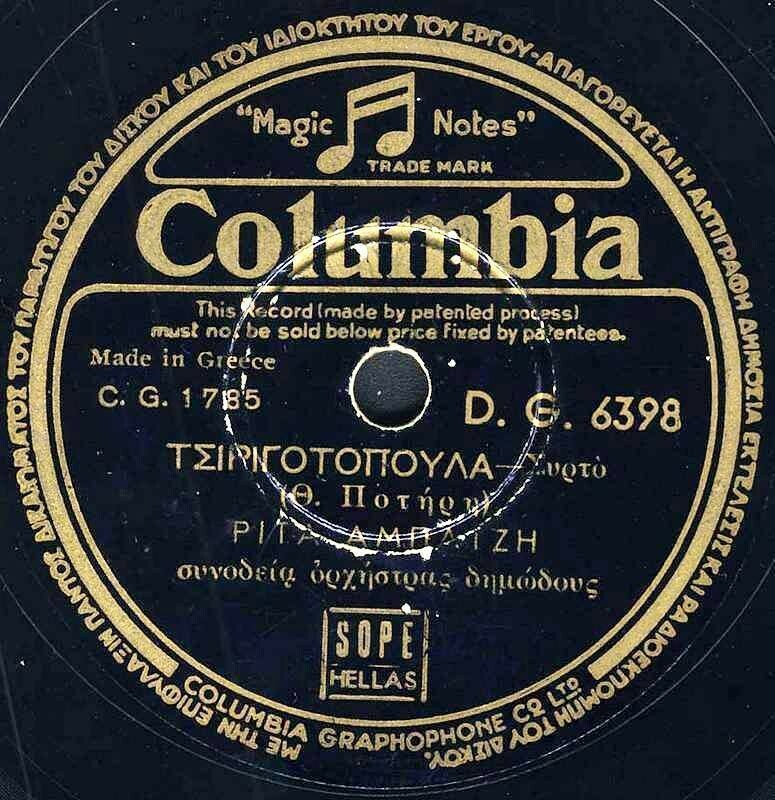 At every level, the spirit of kytheraismos has been greatly enhanced. The web-site is revelatory. New information is being uncovered all the time, which most of the world’s Kytherians had previously been unaware of. The number of Kytherians and Philokytherians who, like Heather der Marco, quoted earlier, who have derived immense pleasure from kythera-family.net? Unknowable! What we do know is that an economic and architectonic infrastructure has been put in place to ensure that www.kythera-family.net will be maintained indefinitely. Hence it will always remain a key force in the preservation, maintenance, and enhancement of Kytherian history, culture, artefacts, ethos and heritage. By its very existence kythera-family.net has helped energise its principals and supporters to create new and exciting projects – many of which most Kytherians around the world would not guess have derived from kfn. These include the publishing accomplishments of the Kytherian World Heritage Fund – as of mid 2014 thirty-one books with a Kytherian theme available for sale in Australia and in Greece. kfn has also forged powerful links with the Society of Kytherian Studies in Athens, who have also published 25 books with a Kytherian theme in the Greek language, and the Departments of History and Philosophy at Athens University through Professor’s George and Athanassia Leontsinis. Strong links with KIPA and the Kytheriasmos Institute have also been created. The website has already inspired a Masters Thesis in Germany by Angeliki Pentsi, and Alexander Riedmuller will soon publish his Ph.D thesis on the the kfn website in Bamberg, Germany. kfn aids people in research, sometimes on a daily basis. For example, on the 7th of April 2014, I received an email from a person thanking kfn and me for providing information on the site which helped him with a paper he delivered the previous week to the 10th Panionian Conference. The topic being "Kythira-Smyrna: The steamboat connection between two places during the 19th century and their unknown perspective." Rosa Cassimatis's name found its way into all. After research I have concluded that Rosa is NOT buried, as most believe, in the Angelo Cavallini tomb in the Saint Spyridon of Kapsali cemetery but was, most likely, buried in Corfu where she died. If she had been buried in Kythera she should have been mentioned on the gravestone, as her (second) husband died much later than her. No such thing. The Corfu Mental Hospital Archives do not report any final resting place, but as she died in 1882 even if she had been buried in the city of Corfu cemetery her grave is probably lost. Again I'd like to thank all contributors to the site who helped me with my research”. This is a tangential Kytherian interest. But the communication indicates into how many different areas kfn managed to penetrate. kfn inspiration also led to the preservation and archiving of the Fatseas collection of plate glass negative photographs. This in turn led to the publication of the books, A Kytherian Century and Panayotis Fatseas: Kytherian Faces, 1920-1938, and an Exhibition in the prestigious Benaki Museum, Athens. Other Special Projects included the importation into Kythera of medical and aged care equipment to benefit residents and patients at the Aged Care facility and Hospital at Potamos. 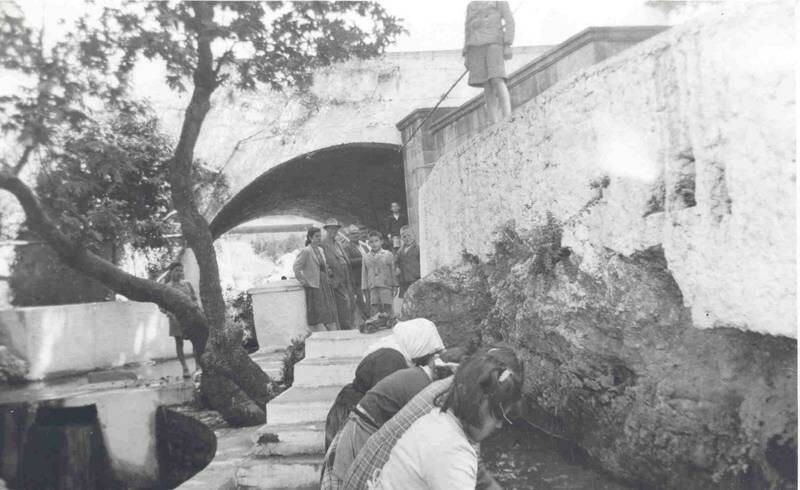 The importation into Kythera of Library shelving from the USA, and later the organisation and funding to completion of both the interior and exterior of the Kytherian Municipal Library, the first Lending Library established on Kythera in 3,000 years. 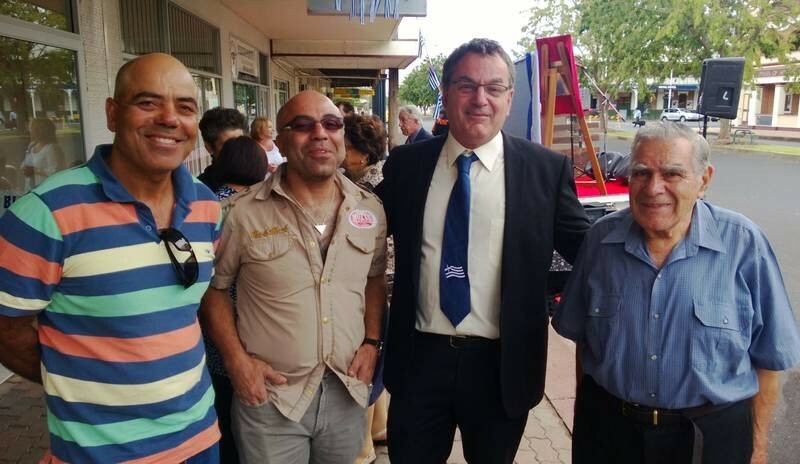 Principals of kfn also aided in creating the first Greek Australian Museum of migration in Australia – the Roxy Museum, located within the Roxy Museum ‘complex’ in Bingara. James Russell Lowell (1819-1891) asserted that "creativity is not the finding of a thing, but the making something out of it after it is found." By that criterion www.kythera-family.net is a very creative entity indeed. Να τα εκατοστήσεις. You are the authors! 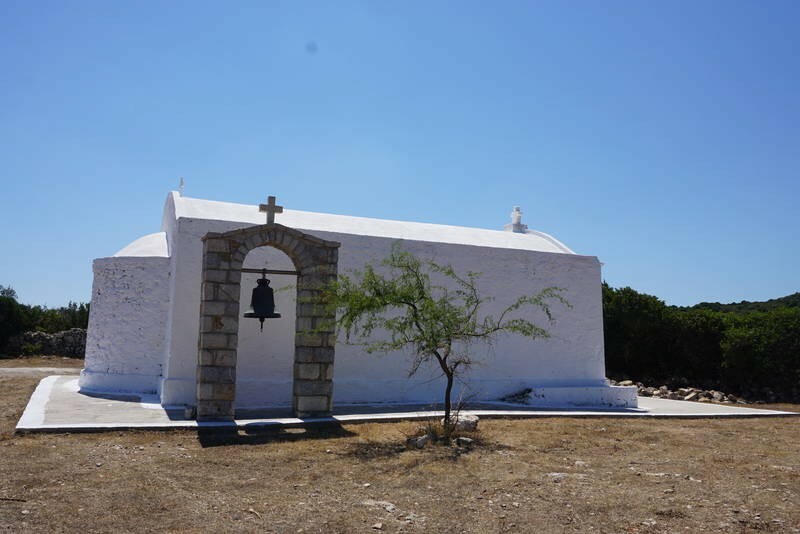 Kythera-Family.net - the online cultural archive for Kythera - aims to preserve and reflect the rich heritage of a wonderful island. Members of the community are actively invited to submit their family collection of Kytherian stories, photographs, recipes, oral histories, and home remedies etc. to the site. Uploading directly to the site is easy and free. Thus we can help make available valuable and interesting material for current and future generations, and inspire young Kytherians to learn more about their fascinating heritage. In this year, the 110th anniversary of Hearn’s death, an international symposium and commemorative event will be held in July in Lefkada, Greece, the place of his birth. This event will attempt an interpretation of Hearn’s “Open Mind” and explore ways to connect Hearn’s legacy with the future. Since 2009, Hearn has been reevaluated from a range of perspectives, and attempts are being made to apply these newfound ideas and values in a practical way. This is changing people’s awareness of Hearn, not only in Japan, but also across the world. It is hoped that this exhibition “Hearn and Family” will bring a fresh perspective to Lafcadio Hearn. Born in Greece and raised in Ireland, Lafcadio Hearn travelled halfway around the world before arriving in Japan, where he settled and started a family. He died, as a Japanese national, at the age of fifty-four. Using stories passed down through the generations, this exhibition offers glimpses into Hearn’s life and the lives of his beloved wife and children. Lafcadio Hearn passed away quietly on 26 September, 1904. He was fifty-four. He died at his home in Nishi-Okubo, Tokyo, where he was being cared for by his family. Lafcadio Hearn’s parents divorced when he was a child. He was raised by a great-aunt in Ireland, who later suffered financial difficulties. He immigrated to the USA, where his life was lonely and often solitary. 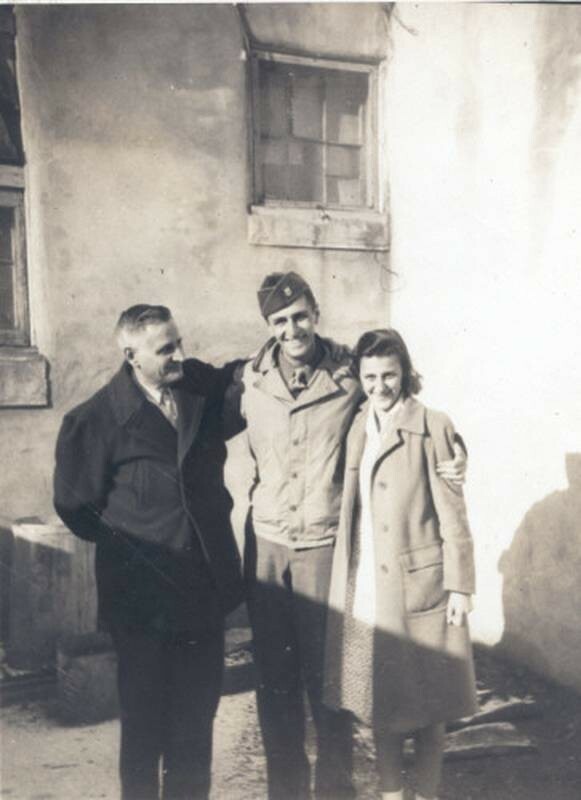 Beset by misfortunes in his youth, Hearn longed for his Greek mother, Rosa, and yearned for a warm, loving family. After arriving in Japan in 1890, he found employment as an English teacher at a school in Matsue. Here, he met Setsu, whom he married, and for the first time in his life, he had a family of his own. Except for a short period of time while living in Cincinnati, Hearn had been alone. However, upon marrying Setsu, he became the head of a large family, which included Setsu’s real mother, and her adoptive parents. Before long, his first son Kazuo was born, followed by two more sons and a daughter. Kazuo Koizumi says in the introduction to Father and I by Kazuo Koizumi). : “My father died when I was ten. To me, as a young boy, he was a father, a family man. I didn’t know the man who gave solemn lectures or wrote difficult works.” To his children, Hearn was at times a strict educator and disciplinarian. However, he was also a kind and loving father, and was often humorous, and displayed a childlike heart. This exhibition commemorates the 110th anniversary of Hearn’s death, and aims, through memoirs written by his wife and children, to uncover another little-known side to this man. At the time of Hearn’s death, his eldest son, Kazuo, was ten, his other sons Iwao and Kiyoshi were six and four, and his daughter Suzuko was just one year old. From the family memoirs and the many photographs provided by the Koizumi family, this exhibition offers glimpses into their family life, and shows the fondness the children felt towards their father. Setsu and Hearn called each other Papa san and Mama san, as a mark of respect and affection, and they communicated in a unique form of Japanese which they called “Hearn’s language”. This exhibition has been structured with reference to the following works written by members of Hearn’s family: Reminiscences of Lafcadio Hearn by Setsuko Koizumi (1918, Houghton Mifflin Co.), Father and I by Kazuo Koizumi (1935 Houghton Mifflin Co.), Father Koizumi Yakumo by Kazuo Koizumi (1950, Koyama Shoten), RE-ECHO by Kazuo Koizumi, Edited by Nancy J. Fellers (1957 Caxton Printers. Ltd.) These works offer insight into Hearn’s writing habits, and a daily life overflowing with human warmth. Based on the concept of “family”, this exhibition aims to show Hearn in a new light. It will also consider the lives of Hearn’s children after his death. Hearn, a British national, became a naturalized Japanese citizen for his wife and children, and died as Koizumi Yakumo, a Japanese national. Through this exhibition, it is hoped that visitors will be able to see the man behind the writer. Racing NSW CEO Peter Vlandys arrives at the Federal Court in Sydney for the race fields legislation decision. In the Australia Day Honours List it was announced that Peter Clary Castrission had been awarded the Medal of the Order of Australia for service to international relations through providing educational opportunities to people in India. Clary Castrission (as he is known) is no ordinary medal recipient. At the age of 30 years he has packed in a lifetime of charitable endeavour and demonstrated an incredible spirit of humanity that the rest of us could only dream about. 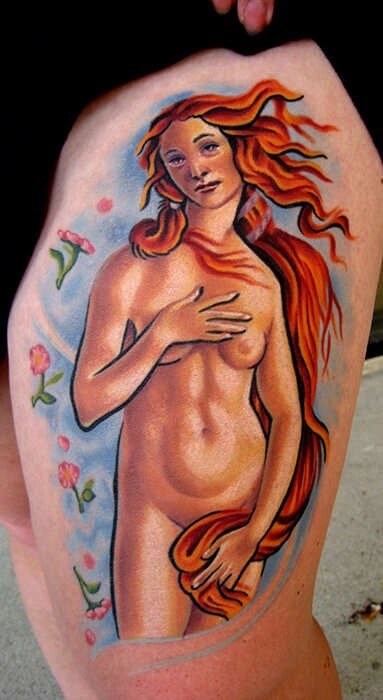 Clary is the son of John and Vivienne Castrission of Gordon. 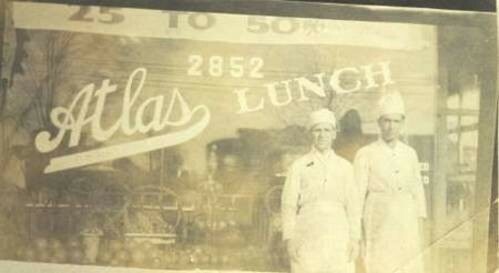 His paternal grandfather, Jim Castrission, originally from Kastrissianika in Kythera, established the iconic Niagara Café at Gundagai. His younger brother James Castrission has become a well-known adventurer, crossing the ditch to New Zealand in a two man kayak and walking unassisted to the South Pole. The essence of adventure is seemingly embedded in the Castrission DNA. So it was that in 2005 Clary set off with a fellow student, Karyn Avery, to go to India. What they saw outside of the main cities was very disturbing as they were confronted by the extreme level of poverty and despair, particularly around the city of Bangalore where the local granite mines and quarries employed workers on as little as $2 a day to break rock. These exploited workers often extended beyond several generations within the same family and the primitive slum conditions in which they lived and worked meant that they could not afford even a basic education for their children. Clary Castrission knew that a proper education could change the life of these children and provide them with a more positive future. He thought it would cost $40,000 and so he set up a non-governmental organisation (or NGO) called 40K Foundation Australia with the goal of raising enough funds to purchase land and build a new orphanage and school for the children of the quarry workers. Five years later the Banyan School opened on the outskirts of Bangalore. The school now has 300 pupils. But Clary has not stopped there. It is not a one school wonder. As the CEO of the Foundation, Clary is overseeing an organisation that is providing more than a 1,000 children a quality education throughout India with the establishment of after-school education centres called ‘pods’ for kids living in poverty in rural Indian villages who need that extra support in English, maths and reading through game-based learning through computer tablets. The 40K Foundation, now with many sponsors and backers and volunteers, is looking to help empower India’s children to rise above the poverty trap. Clary is also interested in pursuing strategies to eradicate child labour in Indian quarries. For his work Clary Castrission was one of the final three young Australians nominated for "Young Australian of the Year" in 2011. He has also received numerous awards including the Commonwealth Day Award for Citizenship in 2009 and the Australia-India Friendship Award in 2012.
underprivileged citizens to receive a basic education has been recognised at a national level with his richly deserved OAM. As one journalist has recently written, Clary Castrission is a “rare breed of individual: altruistic in a world where self-interested ambitions are often prized and admired”. His determination to succeed and his compassion for his fellow man are indeed exceptional traits. The Kytherian Association heartily congratulates Clary for making a real difference in this world. Peter Prineas (left) with wilderness photographer Henry Gold, in the Snowy Mountains 1982. Australia Day Award, for Peter Prineas. 2012. Among the honours announced by the Governor General on Australia Day 2012 was the award to Peter Prineas of an Order of Australia Medal (OAM) for his "service to conservation and the environment through executive and advocacy roles". Peter's involvement in conservation and environmental issues grew out of his early interest in bushwalking and friendship with the Sydney conservationist Milo Dunphy. While a university student in the early 1970s, Peter joined the Colong Committee and participated in efforts to save Lake Pedder in Tasmania and the Boyd Plateau forest in the mountains south-west of Sydney. Later he was appointed as the first Executive Officer of the National Parks Association of NSW where he directed his writing and legal skills into successful public campaigns to save rainforests from logging and for the establishment of new national parks. Some of the contested forests are now World Heritage Areas. He also worked for the preservation of wilderness areas and helped secure the enactment of wilderness protection legislation in 1987. Peter contributed to community environmental organisations at a senior level for over 30 years. As well as the National Parks Association, he held honorary positions with the Nature Conservation Council of NSW and served as its Chairman for three years. He was also a long-time member of the board of the Colong Foundation for Wilderness, taking the Chair in 2007. He was Convener of the first Sydney Water Project in the 1990s and assisted the Nature Conservation Council with urban water policy up to about 2007. Peter also represented community environmental interests on government committees and boards including the National Parks and Wildlife Advisory Council and the Environment Protection Authority (EPA) Board. In recent years Peter has produced books on Greek Australian themes but his earlier books were about the environment. With photographer Henry Gold, he published 'Colo Wilderness' in 1977 and 'Wild Places' in 1983. These books argued for the protection of extensive tracts of bushland in the eastern highlands of NSW, most of which are now reserved in national parks. In the Australian honours system, appointments to the Order of Australia confer recognition for outstanding achievement and service. Recipients of the Order of Australia are from many fields of endeavour and all walks of life. The Order of Australia is the pre-eminent way Australians recognise the achievements and service of their fellow citizens. Nominations to the Order of Australia come directly from the community: either individuals or groups. The 19-member Council for the Order of Australia then considers the nominations. The Council makes its recommendations, independent of government, direct to the Governor-General. Awards in the Order of Australia are publicly announced on Australia Day (26 January) and the Queen’s Birthday public holiday (June). This article appeared in the March edition of The Kytherian, Newsletter of the Kytherian Association of Australia. Peter Prineas (left) with Jim Somerville an old comrade of rainforest and wilderness campaigns. The photograph was published in conjunction with the announcedment of an Order of Australia conferred on Peter Prineas. Photograph: Peter Prineas (left) with Jim Somerville an old comrade of rainforest and wilderness campaigns. Photograph: Peter Prineas (left) with wilderness photographer Henry Gold, in the Snowy Mountains 1982.
translating 3 Lafcadio Hearn books into Greek. Peter V'landys is as fearless as he was in his youth and continues to take on politicians, corporations and the Catholic Church, writes David Humphries. Duke Taylor was not a bloke for backward steps. Thirty years ago as the proprietor of Wollongong's Unanderra Hotel - then the state's biggest outside Sydney - Taylor needed a pub manager in a hurry. He plucked from obscurity an 18-year-old immigrant kid paying his way through accountancy at Wollongong University. The rest of the crew - 70 of them - was outraged, and went on strike, insisting they would not be bossed by someone so wet behind the ears. It was, of course, to no avail. "Duke, one of my mentors in life, wouldn't give in, so I managed the hotel full-time (with the strikers back in the fold) for two years while at university," says Peter V'landys (pronounced Velandees). His regret then was that it cost him his rugby league playing career, even though he reckons he had what it took to make the big time. His short stature for a backrow forward was countered by the physical hardening of years as a part-time furniture removalist , and the determination never to die wondering. The V'landys now so much in the headlines for his David and Goliath battles with political, corporate and church might (and vested interests in his own sector) on behalf of NSW thoroughbred racing - which he says is at its "greatest crossroads" - was forged in those early days. "I wasn't the biggest bloke" on the rugby league field, he acknowledges, but right now the bulk of the racing industry reckon he is 10 feet tall. Testimonials for the chief executive of the state's regulatory body, Racing NSW, speak for themselves. Gai Waterhouse, leading trainer: "Peter has been instrumental in standing solid. People tend to pitch up for themselves, rather than for the industry as a whole. But Peter has been very good at getting people to realise their joint interests, rather than their sectional." Norman Gillespie is the new boss of the Australian Jockey Club, one of V'landys's key obstacles when he took the job four years ago. Gillespie was previously chief administrator of the Opera House: "It took the EI (equine influenza) crisis for him to come to the fore. He is certainly a formidable negotiator and great on his media feet. EI is the circuit-breaker, the breakpoint for the industry, to unite behind one voice. "Peter and the AJC [which ran the gallops from its Royal Randwick headquarters until Racing NSW was established a decade ago, and which jealously resented the intrusion on its fiefdom] did not previously get along, but I can tell you we're Darby and Joan now. Peter is my kind of guy." John Messara, leading breeder: "He's done his best in difficult circumstances, a very good job, and he's gained broad respect for his agitation on EI. He's a very passionate guy, a bit of a bull at the gate, but always well-intentioned, always with the industry's interests at heart." Peter McGauran, the Federal Agriculture Minister with whom V'landys negotiated a breakthrough $234 million package for EI: "He builds an instant rapport and establishes a basis of trust quicker than almost anyone I've met. He's compellingly sincere and reliable, and he's relentless of his advocacy of racing, an industry structured in portals of self-interest. His rare gifts are that he got them unified into one voice, and that he understands racing in all its complexity. Too often others have no idea about achieving the possible." Les Young, recently chairman of the Racing Industry Participants Advisory Committee to Racing NSW: "He's had rocky times when he has not always endeared himself to all sectors, but he has really shone in this time of crisis. The industry has been very lucky to have had in place someone so committed and effective a negotiator, a saviour of the industry." John Muir, president of Thoroughbred Breeders NSW: "It was like war with the EI crisis. The racing and breeding industry was pinned down in the trenches. Peter V'landys rallied his troops, demonstrated by example that he was prepared to take all the bullets, and fought and negotiated tirelessly with bureaucracy to achieve an acceptable outcome. He deserves a medal." Brian Fletcher, chief executive of Hawkesbury race club, one of five "provincial", or third-tier, tracks in NSW: "He's as smart a racing administrator as I've seen in 19 years - and I've seen them all. The industry would have struggled to survive without him." The naysayers are not so forthcoming, reflecting probably V'landys's ascendancy in these troubled times. Resentment towards V'landys still runs deep at the Rosehill headquarters of the Sydney Turf Club, even though it was one of the key agitators for stripping the Australian Jockey Club of its previous control of racing. The Sydney Turf Club chose to make no comment for this article, and the AJC, with board and management replaced, chooses co-operation over obstruction. Born on the Greek island of Kythera 46 years ago, V'landys migrated early with his family to Wollongong, where dad Nicholas worked in the steel mills and his mother in a cafe. "We barely got to see them because they were always working to do the best for the family," he says. His youth - football, work, education filling the available hours - served as an apprenticeship for the day he again would be required to juggle so many challenges simultaneously. 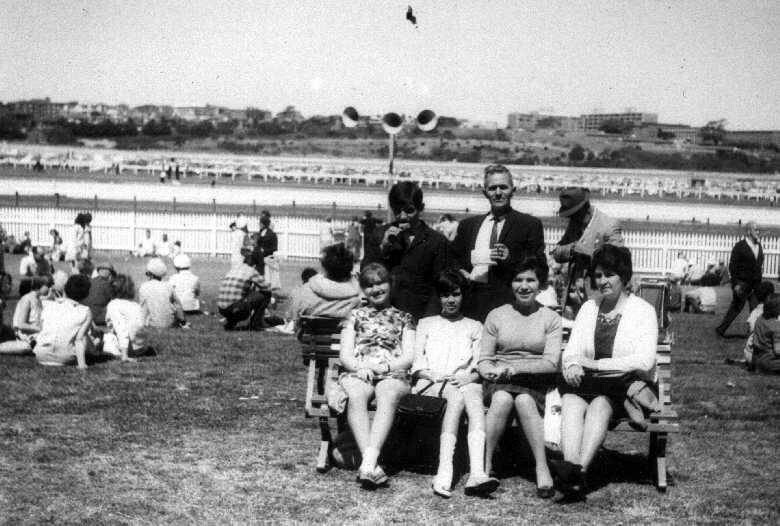 After a stint as a mining company accountant in Sydney, he audaciously applied at 26 for the chief executive job at the Harness Racing Club at Harold Park, even though he did not know Glebe's location. He turned around its misfortunes and came to the notice of the fledgling Racing NSW when he negotiated (to the benefit of thoroughbred racing too) a healthy distribution of totalisator revenue when the TAB was sold. The racing regulator's courtship of V'landys might have come too late had he secured the chief executive role at the National Rugby League. "I was considered the frontrunner but I must have fallen over in the straight," he says. "But I'm glad in some ways I didn't go there." So, too, is his growing following in the NSW thoroughbred business. V'landys has been caught in the headlights of three simultaneous crises - EI, the disruption to Randwick by next winter's Papal visit, with its intrusion by hundreds of thousands of youth pilgrims risking next year's spring carnival (lost this year to EI), and outrage over the Iemma Government's backdoor negotiations to admit the Packer-associated betting exchange, Betfair. Like Duke Taylor before him, he's not taken a backward step. But it is not as if the seas are suddenly tumultuous. The broader picture is one of the sport of kings struggling, and to date mostly failing, to keep its crown. Attendances have plummeted and betting stagnated, forcing an exodus of trainers, jockeys and horses. None of this was aided by V'landys's loss two years ago to the Australian Jockey Club and Sydney Turf Club over the clubs' negotiation of television rights with ThoroughbredVision (TVN) over the TAB-owned Sky Channel. V'landys likens the agreement - which gives TVN exclusivity over the Jockey Club, the Turf Club and Victorian racing - to a couple of NRL clubs doing side deals on broadcasting. But Racing NSW's effort to block the deal fell flat on its face in the Supreme Court, exposing as a toothless tiger the NSW law supposedly bestowing full authority on the regulator. "As history showed, all our concerns [confirmed by independent analysis from PricewaterhouseCoopers] came to fruition, and we lost $160 million in betting turnover - the industry's main source of income - when punters turned away in droves," V'landys says. Had the two premier race clubs been able to get rid of V'landys then, they most certainly would have. Having promised a legislative repair job to re-assert Racing NSW's authority, the State Government has been far less accommodating on Betfair. "We've got a government that doesn't understand racing; a new minister [Graham West] - a nice enough fella - who hasn't been to a racetrack in his life, and yet he's been thrust on a multibillion business," V'landys says. Betfair, he says, is offering the industry a return of 24 cents in every $100 bet, and nothing to the Government, compared with $4.50 each from TAB distributions. "The biggest irony is that the biggest loser is the Government, and yet they're going behind the scenes negotiating with these operators on how much they should pay us. That's a negotiation for us and them, not government." Unlike the State Government failure to even consult with racing on Betfair, V'landys's indefatigability struck Federal Government pay dirt on the influenza epidemic that nine weeks ago locked down all matters equine in NSW and Queensland. On the day before APEC began in Sydney, he was given 90 minutes to convince the Prime Minister of the need for an unprecedented rescue package built on the novel idea of a daily subsidy for each affected horse - $20 for trotters and pacers, $60 for thoroughbreds. McGauran, who set up the meeting with John Howard, says: "The idea of such payments was foreign to Treasury and Finance; they couldn't get their heads around it. But V'landys explained it to the Prime Minister with clarity and conviction." V'landys says: "I was astounded with his level of knowledge of the industry. The Prime Minister had no hesitation. He could see the sense of it." But V'landys is still knocking his head against the Randwick papal invasion brick wall of the Catholic Church, rather than locking horns with its Australian leader, the Sydney archbishop, Cardinal George Pell. "I still think Mr Pell is a bully," V'landys says. "He's refused any meeting with us because he realises he's not in a position of strength, because he's forcing his will on someone who doesn't want to comply. "I've got nothing against the Catholic Church, against a world-significant event, but it shouldn't be at the expense of the racing industry." V'landys is straight-talking to the point of bluntness. "I think you've got to do your best for any organisation. If that sometimes comes across as abrasive, so be it. I've never wanted to win a popularity contest." He has confronted head-on the snobbery and occasionally aristocratic bearing of racing's elite. "In any industry, there are vocal minority groups that get more than they should, and I broke up a lot of these cliques - they called it the mafia. The biggest handicap in racing is that they don't like change." This tough guy in a tie hasn't forgotten where he came from. He has taken on the prime minister, the Pope and then a force of nature larger than all of them - the corporate bookmakers. On Sunday, the most powerful and equally controversial man in NSW racing will be named in the Australia Day honours as a Member of the Order of Australia. 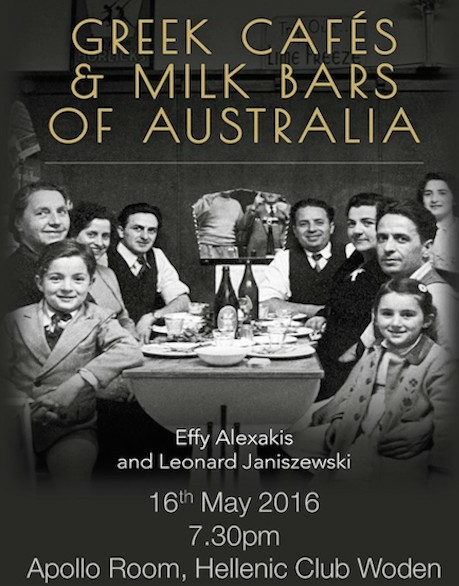 It will be a triumph for the obstinacy and resolve of V'landys, the third-youngest boy of Greek migrants who came to Australia in the 1960s in search of a better life. It will be recognition for the fact V'landys has earned roughly $1 billion for his sport since his appointment in 2004, after navigating it through several major crises, and despite how some in a sport flush with old money and dynasties still consider him. They say you know when V'landys has had a big day of work at the track, because his shirt is hanging out the back of his pants, and his hair is all fuzzed up. His suit is more Kelly Country than Hugo Boss. He'd rather roll up his sleeves than worry about whether there's a French cuff at the end of them. When the equine influenza outbreak threatened to cripple racing in 2007, it was V'landys who personally squeezed a $235 million rescue package out of the prime minister, John Howard. The scene: the son of poor Greek migrants wanting millions from one of the country's shrewdest PMs. ''You couldn't describe it better,'' he says. ''I thought, 'What am I doing here?' But we're all the same. John Howard is the same as me. I can talk to him but have the same respect for the guy who collects the rubbish at Randwick racecourse. I treat them the same. That's how I was brought up. I treated him as John. A year later V'landys negotiated $40 million from the federal and NSW governments, and the Catholic Church, when the church held World Youth Day at Randwick racecourse. Then he marched the cashed-up corporate bookmakers all the way up every step of every court in the land, ending with the High Court, as he pushed through legislation that handed the racing industry $150 million in frozen funds and a further $60 million each year. ''I've never made a decision that was easy for me,'' V'landys says. ''If I went the other way, I'd never forgive myself. I knew I could've sat here and made a nice crust and let the racing industry die on the vine. Sometimes you have to fight. If you don't lose blood in your job, you're not doing your job. He chuckles. It's difficult to tell if it's self-effacement or just for show. In many respects, they picked the wrong bloke to brawl with, because V'landys has been fighting his whole life. He grew up in Wollongong, and his father, Nicholas, worked 18 hours a day in the steel works. His mother, Katerina, is still alive. V'landys grew up adoring two things apart from his parents: Dragons fullback Graeme Langlands and the great pacer Paleface Adios. ''I stalked that horse,'' he explains. ''I would go to Harold Park. I caught the train and snuck away and my parents didn't know where I was. I'd stand at the gate and watch him. From the age of about seven or eight, I would be at the TAB. I was the TAB's youngest customer. Then, in the late 1980s, he became chief executive at Harold Park at just 26, turning it from a $1.5 million basket case into the black within his first 12 months. In 2004, he was approached by Racing NSW - then known as the Thoroughbred Racing Board - to become its chief executive. He had already accepted a lucrative position at the New Zealand TAB, but the board was adamant that V'landys was its man and convinced him to sign. Since then, he has become racing's most influential man. Messara is the founder of the Championships, the $18 million carnival to be held over two Saturdays at Royal Randwick next year that will include 10 group 1 races. ''I've seen seven chairmen in 10 years,'' V'landys offers. Right. How many did you get rid of? Suggest the Racing NSW board gives him too much autonomy, and V'landys is defensive, punching his way out of the corner as always. Then he takes a swipe - unprovoked - at the Australian Turf Club. I point to a lavish, glossy brochure on the table detailing the Championships and ask if this is a move towards Racing NSW taking over the ATC, which has been the street-corner tip for months. V'landys equally dead-bats questions about whether he was the pea to become David Gallop's replacement as NRL chief executive last year. There is a school of thought that V'landys was looking for more money from his next Racing NSW contract, although others say he was genuinely interested in the NRL job. When we meet in his office at Racing NSW headquarters in the CBD, he shows me his new watch - a phone and camera all in one. ''I have a thing for gadgets,'' he explains. At home, he has old-school Space Invaders and pinball machines. Always fighting. Until he wins. BUSINESSMAN, inventor, banana farmer, cinema owner, fundraiser - Angelo Notaras wears many hats and they all seem to fit comfortably. His lifetime of achievement has been recognised with the Medal of the Order of Australia (OAM), with the notation emphasising his "service to the Greek community, particularly through the Greek Orthodox Archdiocese of Australia". "It's a great honour," Mr Notaras said, adding he had no trouble keeping the award a secret until its official announcement yesterday. "And being the son of a recent immigrant to Australia in the last 100 or so years it's a double honour." 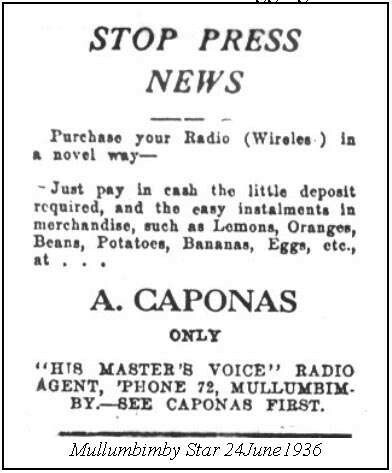 Born into what is now one of Grafton's most notable families in 1933, Mr Notaras first ran a small cinema in Woolgoolga, then entered the banana industry. That led him and his younger brother John into the import and manufacture of machinery, including two highly successful products - a minuscule computer ignition for small engines that was named New Invention of the Year on ABC-TV's The Inventors program in 1975, and the top-selling Atom Lawn Edger. 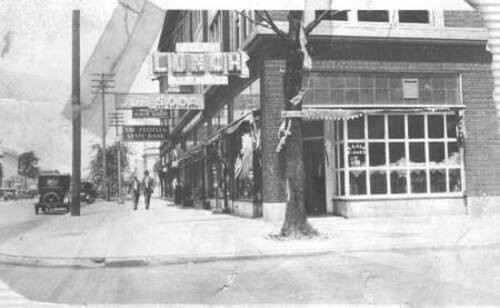 Their business success enabled them to become generous fundraisers and benefactors of many causes. 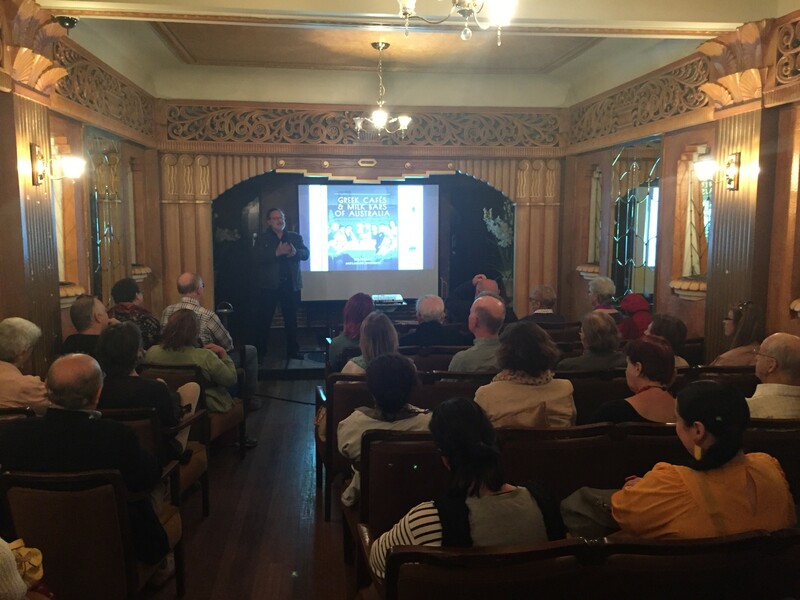 Grafton has seen the benefit of Mr Notaras's work in the painstaking restoration of the Saraton Theatre, that had been built by his father Tony and uncle Jack in the 1920s, and which he bought with his brothers and his cousin, Spiro. He described the project as "an extraordinary challenge that I believe has given Grafton something to be really proud of". "I was up there at Christmas time and was very pleased with how good it looks, and how clean and tidy it was," he said. 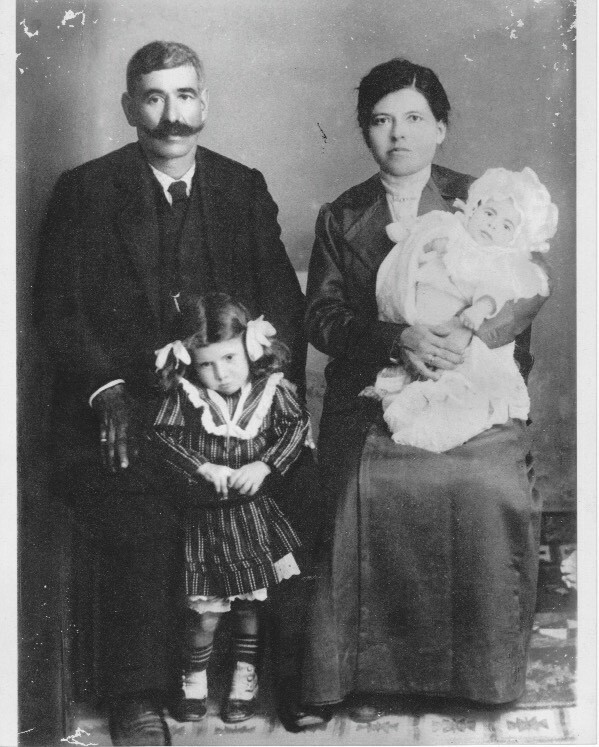 The Notaras family originated on the Greek island of Kythera, where many of the population decided to migrate to Australia. The island's population is just 3000 but in Australia there are more than 60,000 Kytherians and their descendants. 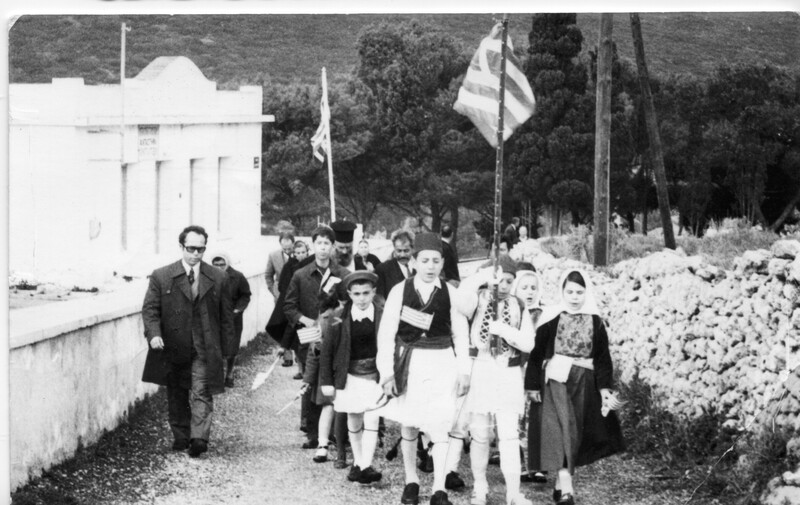 Mr Notaras has worked and contributed funds to establish a comprehensive website, kythera-family.net, and the publication of 13 books about the history of the islanders and the wider Greek population in Australia. His contributions to the Greek Orthodox Church have included helping to run a fundraising campaign that collected $700,000 to help an alcohol and drug rehabilitation program. He was awarded the Cross of St Andrew, the Greek Orthodox Church's highest award, in 2003. 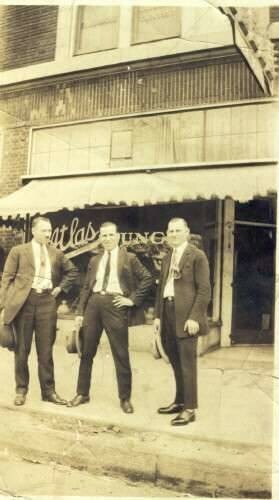 Mr Notaras said he was a proud Grafton product, adding there were many outstanding people who had come form the city, including his twin brother Mitchell, an eminent surgeon, who died in 2011. "I'm very proud that our family name is up there with everyone else in Grafton," he said. 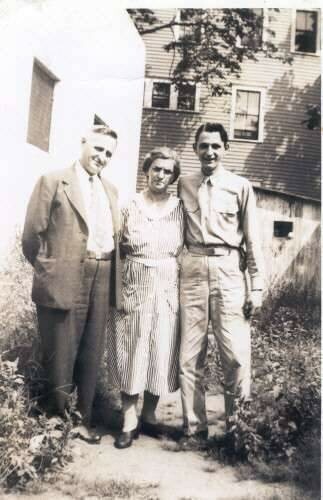 My two grandfathers - Peter Steve Zantiotis and Peter Con Anastasopoulos. 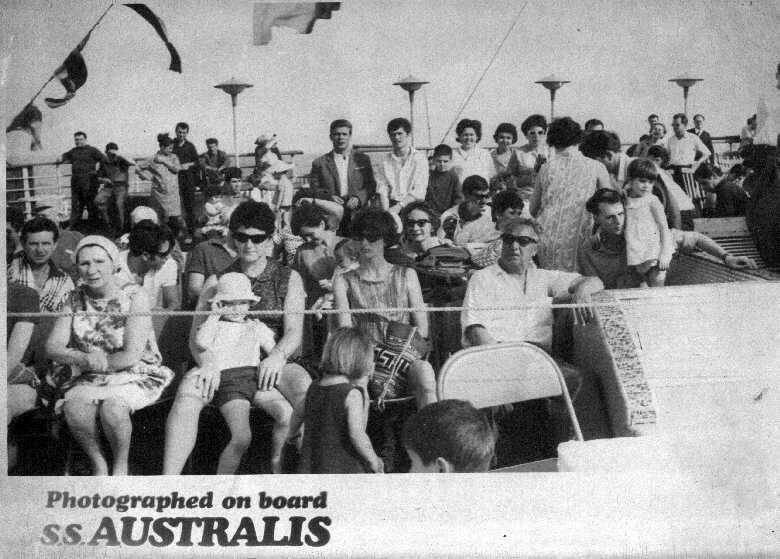 This photo was taken in 1974 when Peter Anastasopoulos visited Australia from Kythera for his first and only time. 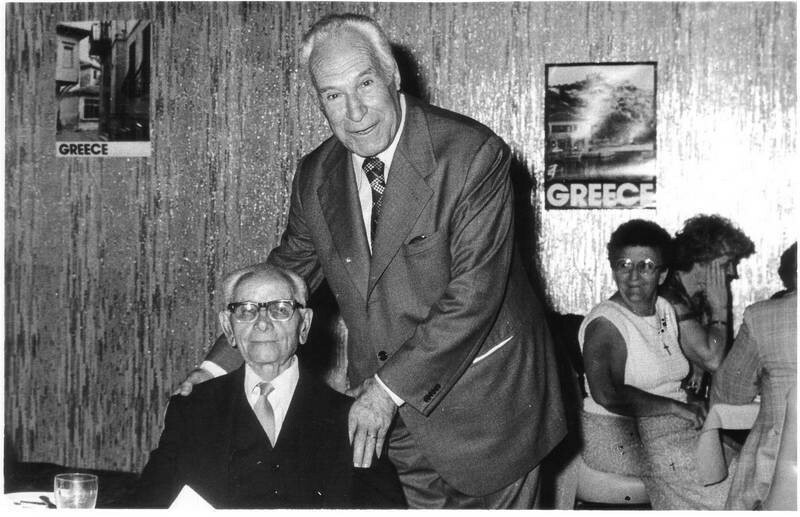 Peter Zantiotis passed away in 1981 aged 82 and Peter Anastasopoulos in 1984 aged 78. Born in Karavas, Kythera, Greece on 16th February 1935 to Alexandros and Maria Cassimatis. In 1949 Peter migrated to Australia. 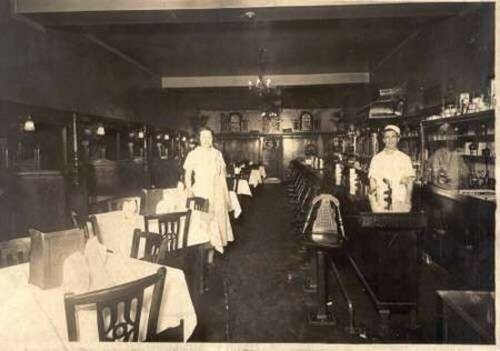 He was 14 years old when he arrived; He started work at Warren in a café. At age 24 he married Helen Sophios in Sydney. 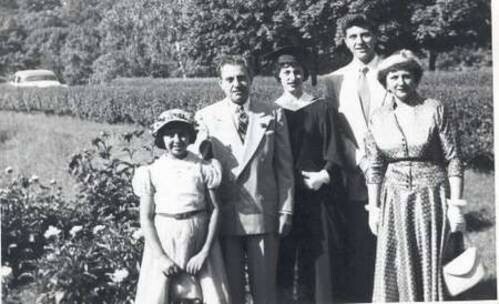 Peter and Helen were blessed with three children, Alex, John and Bill. Sadly Helen passed away in 1971. At age 48 Peter married Beryl Coroneos (Palmer) in Brisbane. 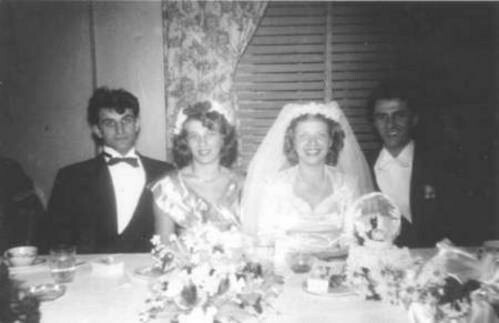 Peter lovingly welcomed two daughters-in-law, Voula and Martine. Peter sadly passed away on Monday 25th November 2013. The family of the Late Peter (Paul) Alex Cassimatis sincerely appreciate and thank you for your comforting support and expressions of sympathy. Available: Available from the Kytherian World Heritage Fund, and the Kytherian Association in Australia. In early 2014 will be available in the United States of America, and on Kythera. Contact Kristina Williamson, by email</a> or <a href="mailto:stathatos@arkiotis.com">John Stathatos, by email. Books and photo prints will be available for purchase via this website and other fine retailers in January 2014. Please sign up for our mailing list to stay up to date with the tour. KRISTINA WILLIAMSON is an American artist born in Pen Argyl, Pennsylvania in 1980. In 2003, Williamson graduated from Parsons School of Design in New York with a BFA in photography and in 2004 was awarded a Fulbright grant to photograph life on the Greek island of Kythera. Her work has been showcased in solo exhibitions in Greece, New York, and Washington D.C., as well as various group exhibitions in the U.S. and abroad. Williamson currently lives and works in Brooklyn, New York. I remember the first time I asked this question. 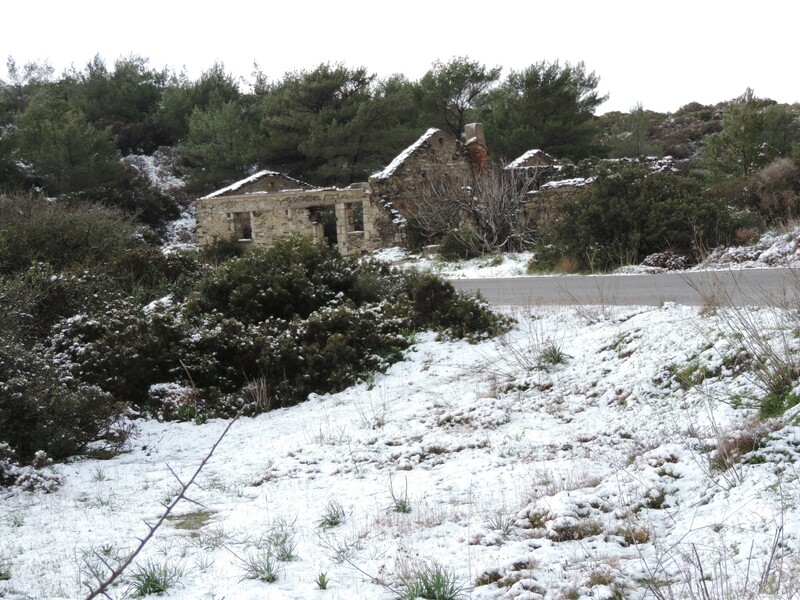 It was in Perlegkianika, a village near where I was living on the Greek island of Kythera. I was walking through on my way home when I saw an old man and woman sitting together by a grey stone wall. They were both wearing similar blue-grey outfits and sitting there so peacefully that they seemed almost a part of the wall itself. I asked if I could photograph them. They nodded. The woman was Stavroula; we were to meet many times after that first encounter, and I photographed her often. Each time I passed through the village she would come out of her house and either take me for a walk to show me something or invite me in to offer some eggs or tomatoes. Another remarkable woman I met in Perlegkianika was Theochari, of the Blue Garage photograph on the cover of this book. When we first met, I understood only a few words of Greek, but she did not seem to mind. She would invite me into her home, make me lunch, and show me photographs of her family. We somehow arranged that I should drive her to the nearby market on Sundays to sell vegetables from her garden. Seated together on a bench in the square, she gave me a running commentary—of which I understood only fragments—on the goings-on and passersby. At day’s end, we’d pack up and I would be sent home with all the remaining vegetables. Although it was my first time in Greece, I remember how strangely familiar the island seemed to me. Certainly Kythera was a big contrast to my life in New York, but it was not all that different from the small town in Pennsylvania where I grew up. Although I did not recognize faces right away, I was recognizing characters which were instantly familiar, perhaps because they reminded me of people from my hometown. Michalis from the gas station near Potamos (who repaired my tires at least once every couple of weeks) shared a disposition with Johnny, my hometown cobbler. I spent countless hours with Kytherians of every age and degree. 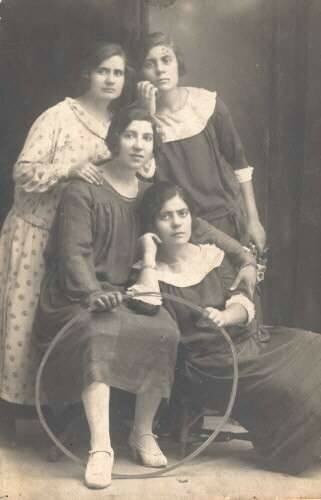 That they often spoke few words of English and that my Greek lacked fluency seemed largely inconsequential at the time. I found that, by way of our mutual intrigue and curiosity, I had unwittingly become a part of their community. Such exchanges of interest, generosity, and affection allowed me to indeed capture daily life on the island. Through this work, I had wanted to share the island’s story in photographs, but the Kytherians had larger plans, accepting me warmly into their community, lives, and homes. Everyone I met on Kythera assured me that I would remain forever: I would be one of those who came to the island on holiday and never left. In a way, they were right. Though I no longer live on Kythera, I still retain a deep love for the island and continue to return. On Kythera, time moves more slowly. There is time to be with friends and family. Time to dance. Time to witness the drama of the tides rolling in, the clouds rolling out, and the intensity of summer reverberating off white-washed walls. These images of an island and its inhabitants are a celebration of a place which changed me and which is itself, however slowly but inevitably, subject to change. 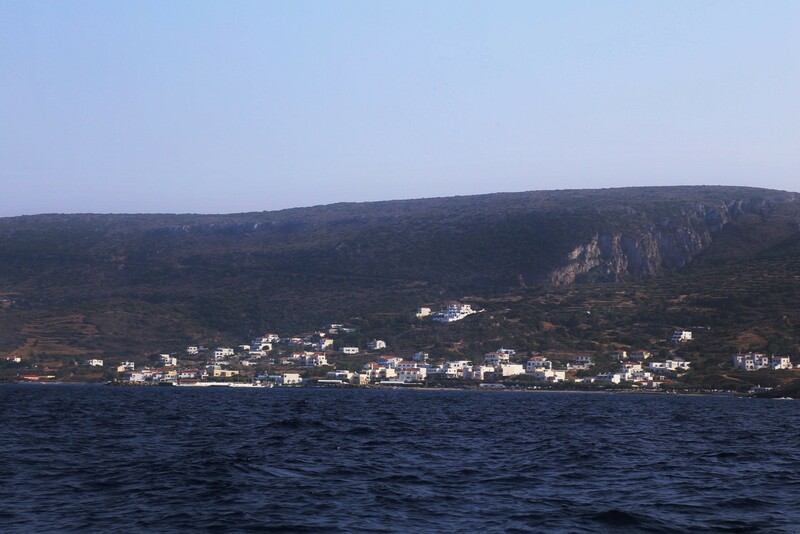 “I arrived on the Greek island of Kythera in August 2004, a 24-year old American photographer not knowing a single person and not speaking Greek,” writes Brooklyn based Williamson in her statement of purpose about her Fulbright experience. 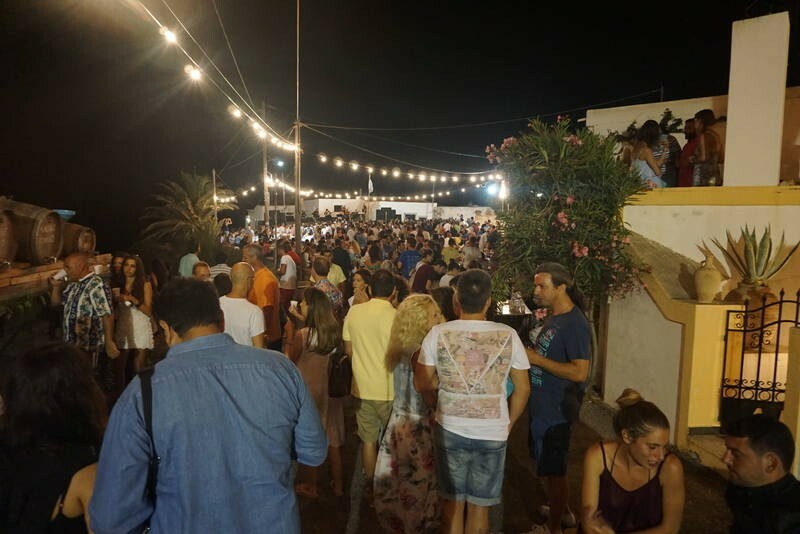 The Pennsylvania-born Fine Arts graduate of Parsons School of Design embarked on a life-changing experience in Kythera, focusing on the islanders who had remained after the mass immigration exodus from the island in past years – as well as on new arrivals. Her eye and lens captured a lot in her time there – which ultimately was a year and a half. 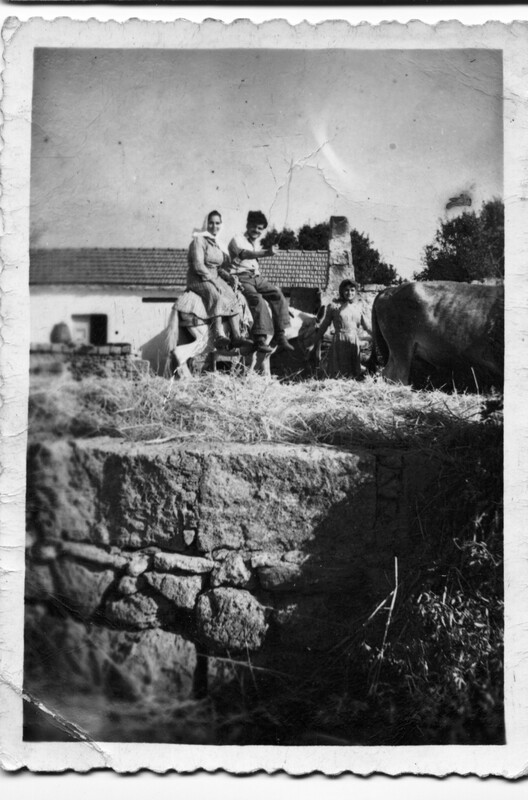 Founder/photographer John Stathatos notes that she retained an outsider observer’s perspective, lauding her work with all of Kythera’s inhabitants: “...she was easily accepted by these groups and hence able to record, with discretion but also considerable empathy, both private and public moments of their lives.” Otherworldly color and texture is captured - whether in moody water/landscapes, still portraits of people’s backs or frank fronts (as that of a woman with a stuffed Tweetie bird which hung in her stark bedroom), community action shots (such as an Annunciation Day cross dive) – with both familiar, lived-in elderly bodies and unpredictable children’s gestures alike. Williamson’s time on the island resulted in solo exhibitions in Kythera, The Greek Consulate in New York, as well as the Woodrow Wilson International Center for Scholars in DC. 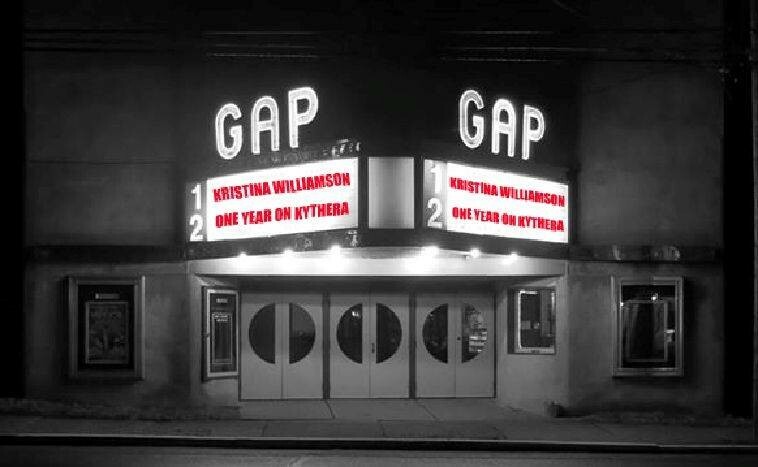 The One Year in Kythera images can be found on her website www.kristinawilliamson.com. She went on to take part in group exhibits in New York, Miami, Hollywood (CA) as well as a solo exhibit at the Brooklyn’s Insest Gallery. She received the Jeunes Talents 2009 award, where emerging U.S. photographers photograph France. Stephen in a typical pose. His photography is exceptional, and visits to Kythera are not the same without him being present on the island. 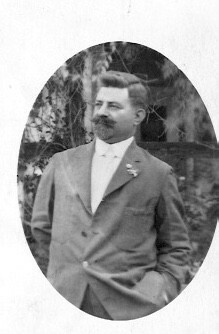 Peter George, – an Australian Greek more than a Greek Australian. He loved Australia and marvelled at its beauty. To acknowledge the blessings and opportunity this great country bestowed upon him as a 15 year old immigrant boy, survivor of the devastation of the Great Depression and World War 2, the adult Peter contributed time serving on a number of community organisations. These included the Merriwa Apex Club; Merriwa and Dubbo Lions Clubs ; Merriwa Volunteer Rescue Squad; Board member of Merriwa District Hospital; Dubbo Water Watch Group; Orana Law and Order Forum and the Dubbo City Chamber of Commerce and the occasional drink at the Merriwa RSL after hours. His greatest pleasure to community was his service and dedication to his faith and this very Church, Our Lady Panagia Myrtidiotissa. The spiritual connection for Peter was strong. For years he stood in the Psaltiri and chanted during Divine Liturgy. He strove to understand his faith, and for enlightenment undertook studies of Modern and Ancient Greek to better interpret the scriptures as they were written over the past 2000 years. 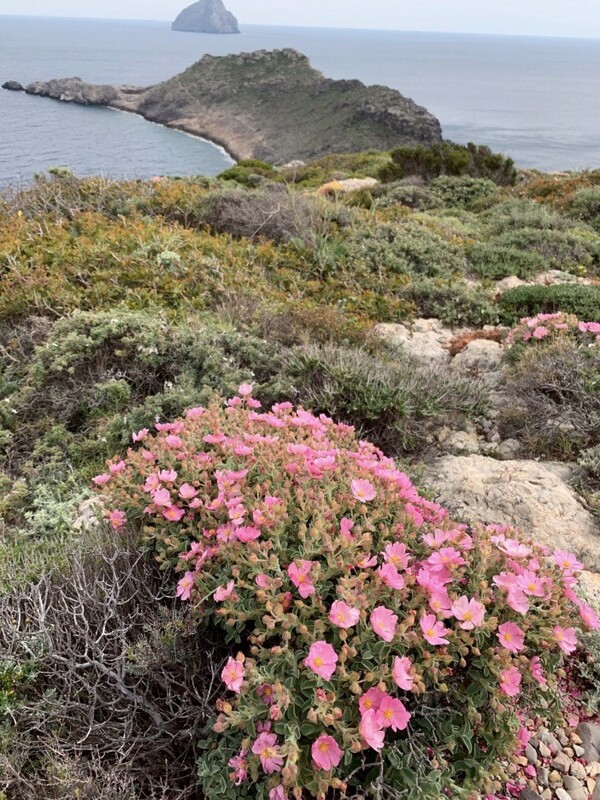 Peter stayed connected to his beloved island home Kythira, especially after his retirement, returning on a pilgrimage every year. This was eclipsed, however, by the trip to Jerusalem and the Holy Lands. Filled with Spiritual energy, he overcame failing health, to proudly climb all the steps and walk the path of Christ without getting tired. It was a personal milestone and fulfilment of a life- long ambition. Peter was not your typical Greek migrant. He assimilated seamlessly into Australian society, undertook study to become fluent in English and progressed in the business world. 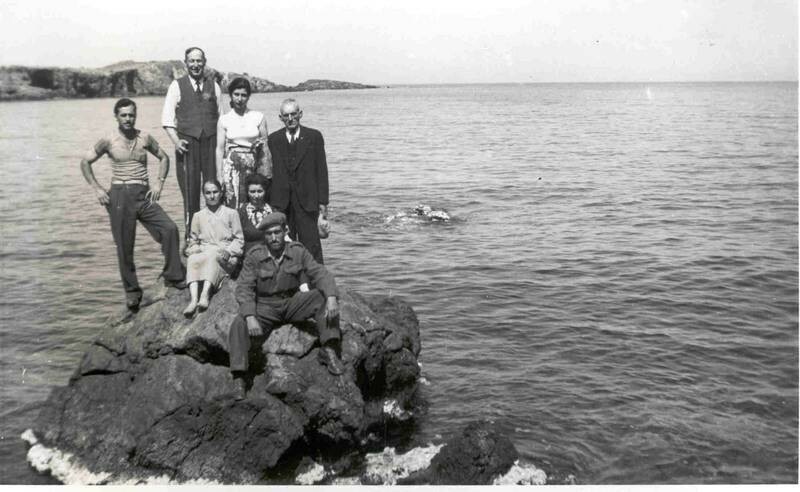 Even though he and his wife Bess worked 7 days a week for over 20 years in the famous Peter George’s Merriwa Café, they always found time for family Sunday excursions and an annual week long holiday at Nelson Bay. With the move to Dubbo, Peter George built a new life. His greatest success was going to work and loving it. Peter’s professional ambition since his Nyngan days in the 1950’s was to own a Gun Shop in Dubbo. Carrington Firearms was an opportunity to finally join his love of shooting and fishing, emerging as a highly respected professional in a highly competitive industry. His best mate became his brother-in-law, Tony Panaretos. 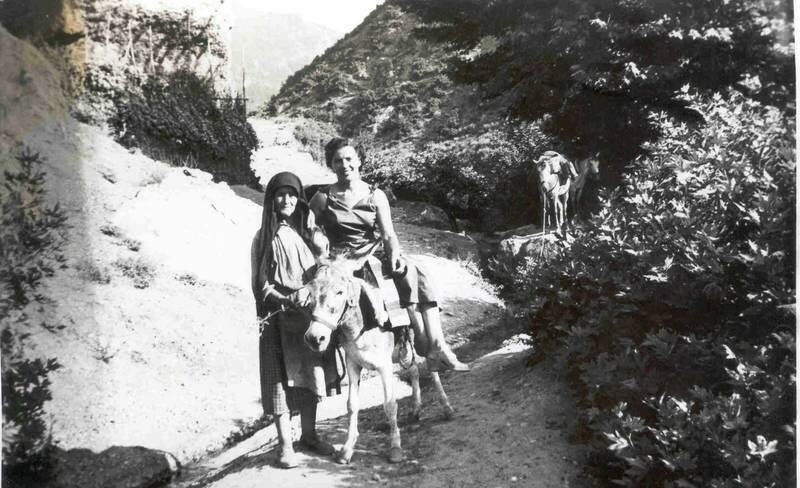 His greatest sense of duty was to his mother, Kirani and sister Eleni. His greatest privilege was baptising his 3 Godchildren. His greatest challenge was raising 3 strong willed daughters. Yet he gained the sons he never had leading to…. His greatest pride - his 7 grandchildren! They gave him the incentive and that extra will to live longer. In later years he would express his love and pride to anyone and everyone who would listen! Above all else his greatest passion was that for his wife and soul mate, Bess. Together they were an inseparable team; united by marriage; working side-by-side and genuinely devoted to each other. And now we are gathered here to honour him, applaud him and thank him for the time he walked among us and made our lives all the richer for having known him. You will be greatly missed Peter George. May you rest in peace. Stick to the periphery of the supermarket and you will find all you need to embrace the Mediterranean diet, as Carla Grossetti writes. None of the ingredients featured in Dr Catherine Itsiopoulos's The Mediterranean Diet have scary chemical names or need numeric identification. Instead, the core components of the Mediterranean diet are olive oil, leafy greens, eggs, fruit and nuts, legumes, fermented dairy products, seafood, a small amount of red meat and a minuscule amount of sugar. As head of the department and associate professor in dietetics and human nutrition at LaTrobe University, Itsiopoulos's book, published in August, is a happy nod to both her Greek heritage and more than two decades of dedicated research into the Mediterranean diet. "Most of the recipes used in the book were provided by either my mum or my mum-in-law," says Itsiopoulos, who, as well as being a passionate home cook, has more than 25 years of clinical and academic nutrition experience. "I've grown up on this diet but it wasn't until I graduated from dietetics that I looked at this way of eating from a research perspective. Research conducted over the past 60 years has proven the diet can promote weight loss, aid cancer recovery, slow Alzheimer's, prevent diabetes, heart disease and promote longevity," says Itsiopoulos, whose parents migrated to Australia from Greece in the 1960s. Itsiopoulos who, at 170cm, has weighed between 58 and 62 kilograms all her adult life and has a BMI of 21, is a walking advertisement for the diet. The 50-year-old believes it's the ubiquitous olive oil that makes the Mediterranean diet more satisfying than a low-fat diet and therefore easier to adhere to. As well as a traditional menu, there is a weight-loss menu with a daily kilojoule intake of 7000 kilojoules (which includes dishes high in fibre, vitamin C and folate and low in kilojoules) and a healthy menu for chronic disease prevention. "People do not eat excess calories on this diet because that drizzle of extra virgin olive oil makes it so satisfying. It's a lifestyle diet. Yes, it works because it's palatable but it also works because it encourages you to slow down and eat in a social environment. It's not a quick fix. It's a way of life," she says. A review article published this year, in the highly respected New England Journal of Medicine, entitled ''Prevencion con Dieta Mediterranea'' (PREDIMED) ranked a Mediterranean diet supplemented with extra virgin olive oil or nuts as the model most likely to provide protection against coronary heart disease. "Salient components of the Mediterranean diet reportedly associated with better survival include moderate consumption of ethanol [mostly from wine], low consumption of meat and high consumption of vegetables, fruits, nuts, legumes, fish, and olive oil." While Itsiopoulos concedes many people living in the countries that surround the Mediterranean have moved away from healthy eating patterns, her own research was based on the traditional timeworn peasant-style diet. Her major research interest lies in the positive effects of this diet in a society that faces a rising incidence of lifestyle-related diseases. 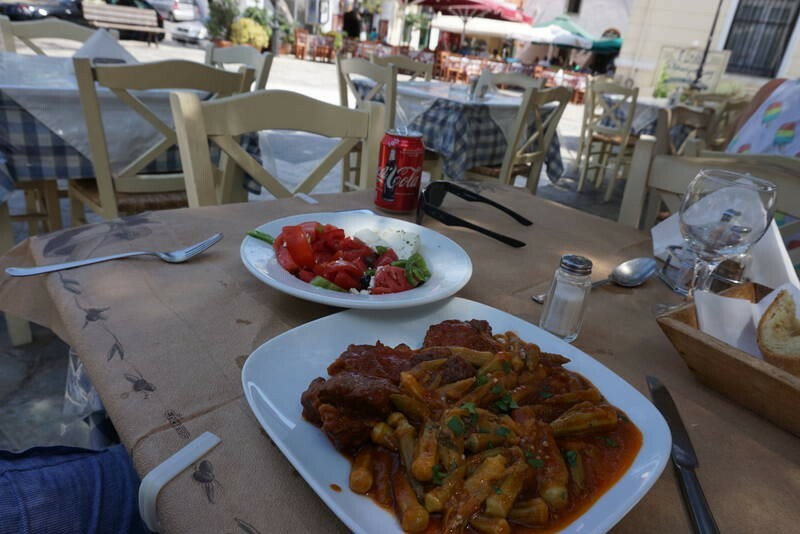 "The diet that is the most-often prescribed diet in the world and the one that is most often quoted in scientific studies is the Cretan-Mediterranean diet that originated from the island of Crete following World War II. Research has found that people eating this diet had almost no traces of heart disease," says Itsiopoulos, who lives in the Melbourne suburb of Moonee Ponds with her Greek-Australian husband Savvas Koutsis and teenage daughters Tiana and Vivienne. Itsiopoulos says research backed by science has also shown that, despite being high in fat, the Mediterranean diet - which was heritage-listed by UNESCO in 2010 - uses olive oil rather than butter, which does not necessarily lead to weight gain. "The one key ingredient that binds all the diets of the Mediterranean is olive oil, which is well known for its role in the prevention of heart disease. ''There's also less meat, more veg," says Itsiopoulos, whose findings have been published in journals such as Nutrition, Metabolism and Cardiovascular Diseases and the Journal of Hepatology. "Although the diet is high in fat, it's also high in fibre, with almost a kilogram of fresh fruit and vegetables per day, small portions of lean meat, a regular intake of fish and snacks of dried fruit, nuts and yoghurt," she says. Traditional Greek-Mediterranean recipes featured in the book include: favas santorinis (split pea dip), keftedakia (little meatballs), dolmathakia (vegetarian-stuffed vineleaves) and fassoulada (white bean soup). Itsiopoulous has also modified many of the heavier mains, such as moussaka, to feature grilled vegetables over meat as the "heroes of the dish". "Making eating a pleasure is one of the cornerstones of the diet. You don't feel like you are missing out," she says. The Mediterranean Diet (published by Pan Macmillan Australia, RRP $34.99). Recently received from Catherine Crisp who lives in Hervey Bay in Queensland. "A great friend of mine recently celebrated her 96th birthday. Athena (Gloria) White is Michael De DIar's grandaughter - she has been overwhelmed by the information I have downloaded about him, from this site, for her. She is a remarkable woman, has enjoyed life to the fullest and has only in the past 6 weeks moved into an aged care facility having lived independently, in her own home, up until now. I want to thank you for the effort you have put into researching and compiling this site, it has answered many questions and provided enormous enjoyment to a delightful, elderly woman". I recall her telling me that her grandfather would collect her, and her siblings Max and Beavan, from St Peter's school in Adelaide in a very flash car and that she felt so proud of him....and the car probably! !